well i recently had the wonderful chance of visiting Hollywood attend the 25th anniversary of back to the future which was basically a whole week on events based on the trilogy, including, filming locations, meeting actors, crew behind the production, deloreans, deloreans, time machines and more deloreans… one of the most memorable trips of my life….back to the drawing, it was first sketched on my ipad using sketchbook pro is was a pretty bad drawing but once reimagined on illustrator i think i finished up with a much better design….thank you! 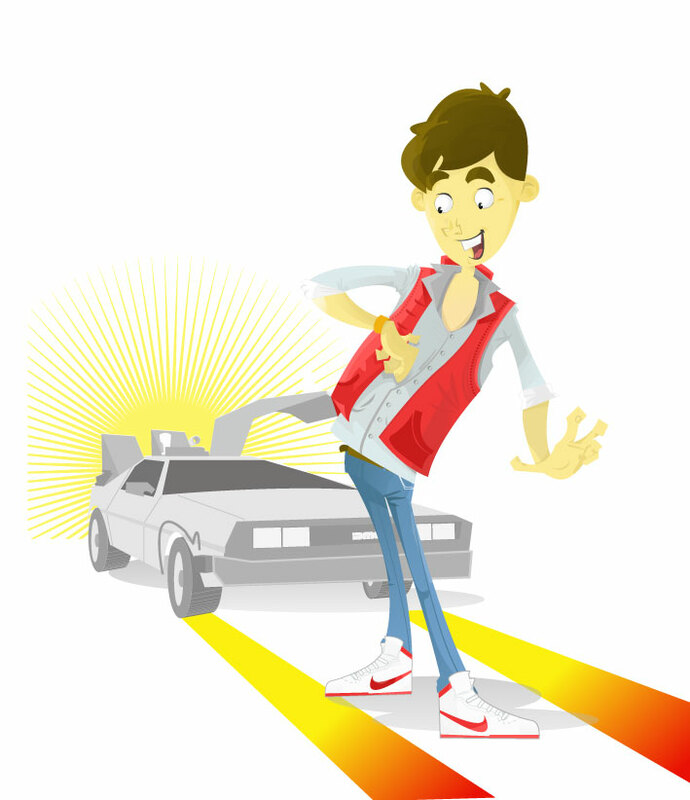 This entry was posted in illustration and tagged bio, bttf, me by aronkatzgd. Bookmark the permalink. graphic designer trying to be a illustrator, photographer, web programmer, gamer, and lets wait and see what im going to be next..